Be an advocate for your students! What’s the fuss about dyslexia screening? Language and reading are the basis for education, and when a child is struggling in those areas, collaboration between teams and caregivers is the most effective way to help them. 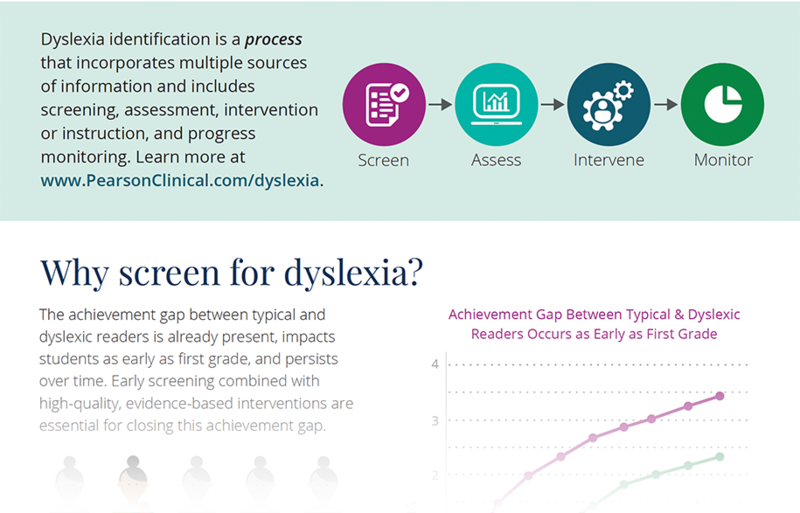 If your school doesn’t currently have dyslexia screening as part of their assessment process, we have the tools you need to educate yourself and become an advocate for your students. If dyslexia screening is already being done at your schools, great! Learn about the latest developments in dyslexia interventions and help your students find the success. It can literally take the actions of ONE person to make an immeasurable impact on the life of a dyslexic child. We have numerous resources designed to help you not only educate yourself and your colleagues, but to guide you as you take these next steps. Sign up today and be a part of the day that “everything changed” for a child with dyslexia. Our dyslexia team leads have rich and diverse professional backgrounds. Working closely together across our varied roles allows us to share information and expertise while supporting your work toward the best outcomes for individuals with dyslexia and those who may be at risk. Because after all, these individuals are learners--and at the heart of everything we do at Pearson. Planning for fall? Sign up today for more resources. Copyright © 2019 Pearson Education, Inc or its affiliate(s). All rights reserved.